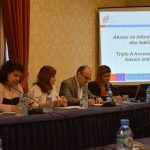 Triple A for Citizens is a project implemented by a partnership of 11 civil society organisations from Albania, Bosnia and Herzegovina, Croatia (from December 2012-February 2015), Kosovo, Macedonia, Montenegro, Serbia, Turkey, Romania, Belgium, the United Kingdom, and Ireland. 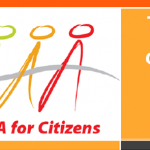 The project Triple A for citizens – Access to information, Advice and Active help – is implemented in the framework of the European Commission’s Partnership programme for Civil Society organizations. The project is based on the principle that everyone has the right to be informed on their rights. 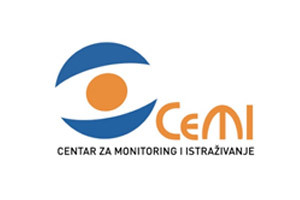 Since December 2012 the project has supported a multitude of services provided by civil society organisations to thousands of citizens in the Western Balkans (Croatia, Bosnia and Herzegovina, Serbia, Kosovo) and Turkey to enable them to access information on their rights and obtain advice and active help in exercising them. In other words, Triple A works to promote access to justice for citizens throughout the region. In March 2015 the project entered its second phase and expanded its services to three additional countries in the region: Albania, Macedonia and Montenegro. 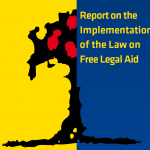 In this phase, there is an increased focus on advocacy to promote legislative changes and increased funding to Triple A services, including free legal aid. Join the Triple A mailing list to receive the latest news and updates from our team.